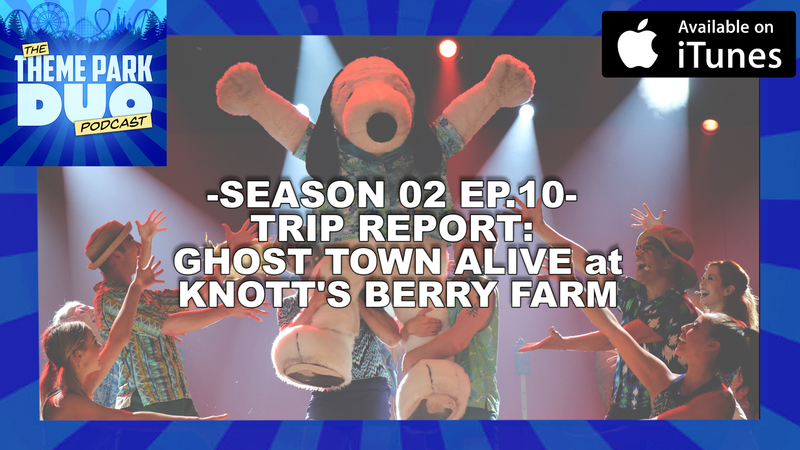 On this weeks episode of The Theme Park Duo Podcast, The Duo sit down to chat about their experiences with Ghost Town Alive at Knott’s Berry Farm in Buena Park, California. Whether it’s sitting down and playing poker with the sheriff, or trying to unravel the mysteries of codes and riddles, Ghost Town Alive isn’t short of content or fun. Before that, The Duo have another segment of Park Peeves!